Did you know that in 1974, Amtrak planned to thwart Auto Train Corporation’s dreams of tapping the lucrative Midwest-Florida travel market by launching its own competitive service—AutoTrak, between Indianapolis, IN and Poinciana, FL? Were you aware that it was once necessary to secretly get Amtrak President, W. Graham Claytor, Jr., aboard the Silver Meteor at a road crossing near Jacksonville, FL, for fear that nearby local officials would find him, arrest and jail the famed railroad executive? It’s true. 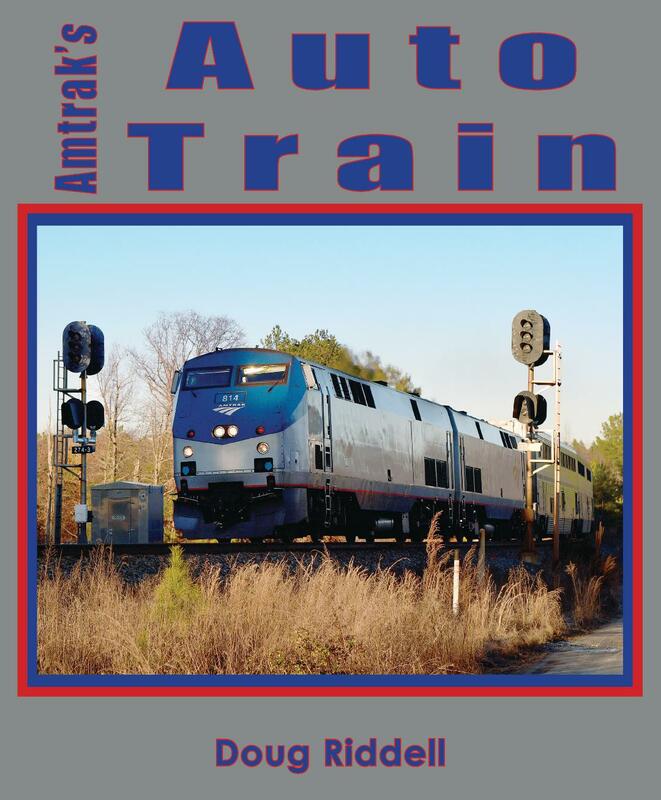 Amtrak’s Auto Train is not your typical history book. The book contains hundreds of color, as well as black and white images, from renown rail photographers, but also includes snapshots taken by the author and Amtrak Auto Train employees, that provide a behind-the-scene look at the railroad’s “flagship,” from the ashes of the original Eugene Garfield Auto Train Corporation, through today’s Superliner-equipped, General Electric P40-powered Virginia-Florida auto ferry service. Along the way the book explores triumph to tragedy—the success Graham Claytor firmly believed would result by resurrecting the original red, white, and purple auto-train, to the deadly April 18, 2002 derailment near Crescent City, FL. Most importantly, the saga is told in the words of, and seen through the eyes of the people who lived it, Amtrak employees—both those who planned the train, as well as others, who in some cases, have spent thirty-five years offering service that has put many of them on a first name basis with the Auto Train’s patrons—many who for decades have made their annual pilgrimage, from the icy Northeast, to sunny Florida. The insight provided by these insiders will give the reader the feeling that they were present during events that run the emotional gambit from lifelong employee friendships to confrontational labor-management negotiations that risked triggering a national rail strike.